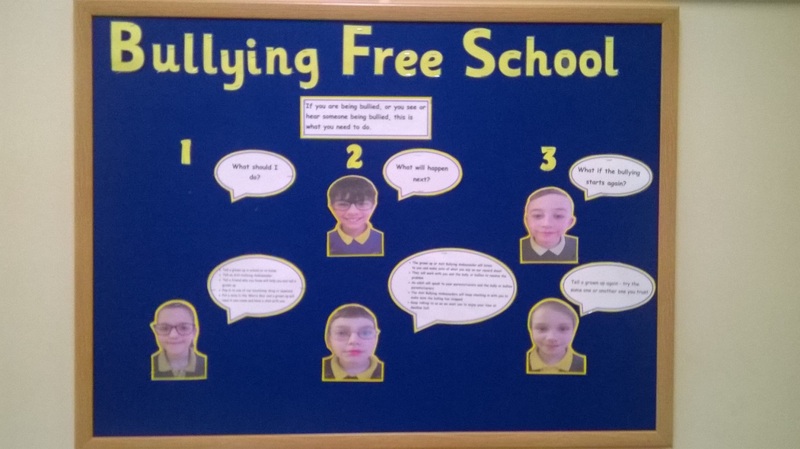 Follow our 3 steps to a Bully Free School. This display is in a prominent position in the Sweet Briar building for all to see. 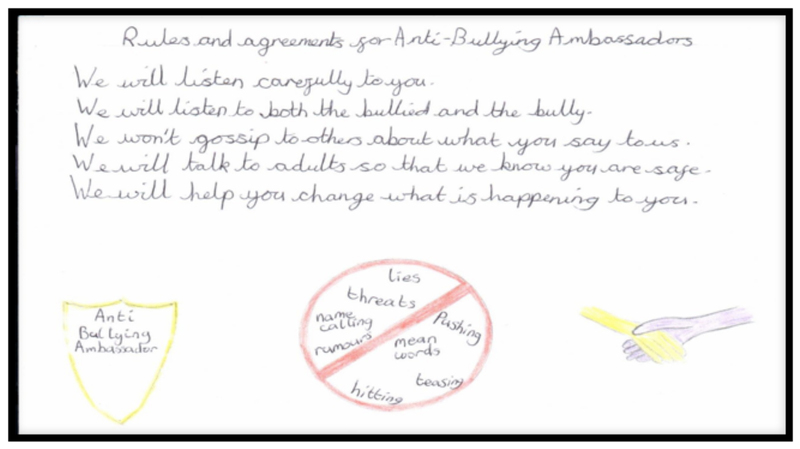 After their training sessions, the Ambassadors worked together to produce five rules and agreements that they thought were important to share with other pupils to ensure they felt comfortable sharing their concerns. 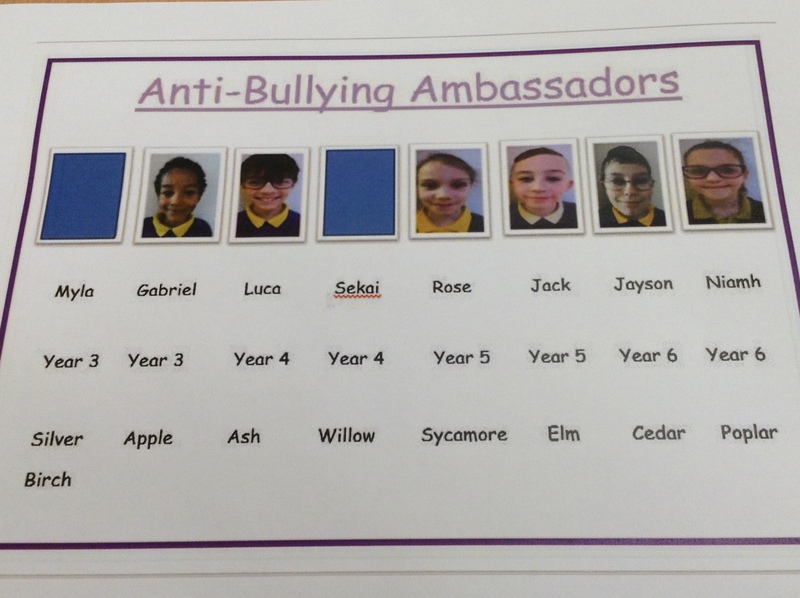 The Ambassadors then designed their own postcard which we copy and give to each pupil when they first visit the chatroom.